For 56 years, Senninger has led the way in the development of many solutions for the agricultural irrigation industry, helping growers meet the food and fiber needs of a growing population worldwide. 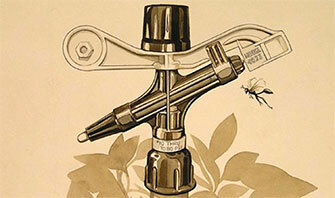 It all began when Joe Senninger created the industry’s first Insect-Proof™ Impact Sprinkler to solve a common problem for growers in Central Florida. Soon after, Joe’s nephews, Andy and Mark Healy, joined the company bringing their marketing and engineering backgrounds. A four-mode LEPA (Low Energy Precision Application) Quad Spray in 1986. LEPA technology has now evolved into one of the most water and energy-efficient irrigation methods ‒ Close Spacing. In 2017, Close-Spaced LEPA installations won the Agriculture category of the Irrigation Association’s new Vanguard Award. In 2016, Senninger became part of the Hunter Industries family of companies. While Senninger is recognized for their innovations and contributions to the irrigation industry, their employees know that the company success is built upon core values kept throughout the years. Honesty, Trust, Loyalty, Respect, and Teamwork, and the dedication of team members, are the real foundation of Senninger’s achievements. March 24, Senninger celebrates its 56th anniversary loyal to those values and culture, to continue to produce innovative products and develop more efficient irrigation practices.